M&S however, claims it has not violated rules here. 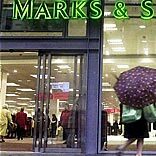 UK clothing chain Marks and Spencer (M&S) may be violating the Indian government’s FDI policy in single brand retail, as it bars retailers from selling multiple brands in a single store. The finance ministry has taken up the matter with the Department of Industrial Policy and Promotion (DIPP), and sought to know if M&S' practice of selling sub-brands is in conformity with the FDI policy. M&S operates in India via a joint venture with Mukesh Ambani-led Reliance Retail, in which the British chain has a majority stake. M&S offers most of its sub-brands such as Limited Collection, Autograph, Collezione, North Coast, Blue Harbour, Savile Row Inspired, Indigo Collection and per una, apart from its flagship brand, in its 29 stores in across the country. The current FDI single brand policy highlights that products sold should be of a 'single brand' only, however, it is quiet on sub-brands and labels. On the other hand, M&S maintains that under their single brand licence in India, they only sell M&S products, including their sub-brands. The brand claims it hasn’t received a letter from the DIPP yet.